If you want the atmosphere of a small liberal arts college and the educational resources of a major university, The Ohio State University at Marion is for you. 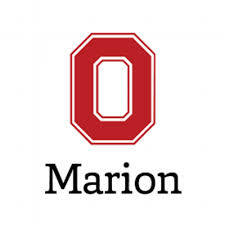 At Ohio State Marion, you can pursue your university education in more than 170 areas of study or complete your Ohio State degree in a growing number of majors on the Marion campus. As an Ohio State Marion student, you are part of the Ohio State family and have access to opportunities and activities on the Marion and Columbus campuses, including libraries, research facilities, computer labs, student organizations, concerts, and even football tickets. The Ohio State University is one university with many campuses. Regardless of which one you attend, you are an Ohio State student, you are a Buckeye!